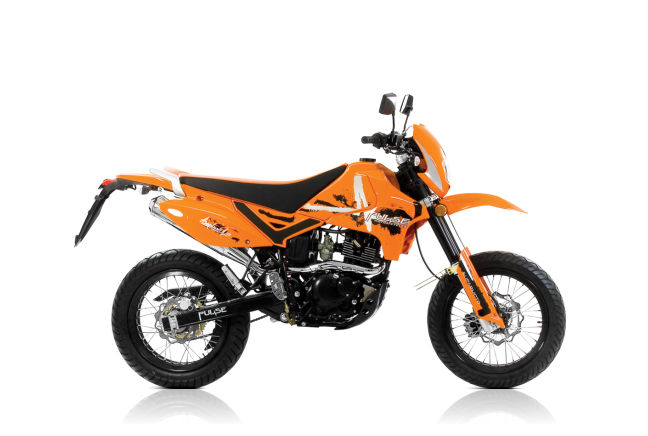 The Pulse Adrenaline is a motocross inspired model, which means high ground clearance, big front forks and brash styling. It comes well kitted out with heavy-duty suspension and a Suzuki engine that makes for an enjoyable riding package. At the front there’s a cool digital dial set up, too. It’s a lightweight bike which means it’s easy to handle and that also helps with its fuel consumption figures, making it a pretty efficient model. At less than £1,400, the Adrenaline is a budget, tempting offer from Lexmoto. Below you can see the average minimum cost of a comprehensive annual insurance policy.